Background: Recent theranostic (therapeutic or diagnostic) applications of tellurium nanoparticles have attracted a great interest for development of different methods for synthesis of this valuable nanostructure, especially via biological resources. Objectives: In the present study, the antimicrobial and antioxidant effects of the tellurium nanorods (Te NRs) biosynthesized by a bacterial strain Pseudomonas pseudoalcaligenes strain Te were evaluated. Materials and Methods: The antimicrobial effect of Te NRs and potassium tellurite against different bacterial and fungal pathogens was assessed by microdilution method. Furthermore, the disk diffusion method was used to evaluate the antibacterial effect of the biogenic Te NRs and potassium tellurite against methicillin-resistant Staphylococcus aureus, alone or in combination with various antibiotics. Also, the biogenic Te NRs were investigated for antioxidant activity using 2, 2-diphenyl- 1-picrylhydrazyl (DPPH) scavenging activity and reducing power assay. Results: Transmission electron micrograph (TEM) of the purified Te NRs showed individual and rod-shaped nanostructure (~22 nm diameter by 185 nm in length). Based on the data obtained from both microdilution and disk diffusion method the K2TeO3 exhibited a higher antibacterial and antifungal activity compared to the Te NRs. The measured IC50 for the biogenic Te NRs (i.e. DPPH radical scavenging activity) was found to be 24.9 μg.mL-1, while, K2TeO3 has represented only 17.6 ± 0.8 % DPPH radical scavenging effect at the concentration of 160 μg.mL-1. The reducing power assay revealed a higher electron-donating activity for Te NRs compared to K2TeO3. Conclusions:Based on the data obtained from both microdilution and disk diffusion method the K2TeO3 exhibited a higher antimicrobial and antifungal activity than Te NRs. Te NRs didn’t show the antibacterial effect against the tested bacterial strain: MRSA and showed an inhibitory effect and antibacterial activity of the effective antibiotics. However, more studies should be performed to explore the action mechanism of the produced biogenic Te NRs. Tellurium (Te) is a non-essential biological metalloid elementwhich belongs to the group of chalcogens (1). Unlike selenium; its relative, the biological and the medical properties of the tellurium and its compounds have rarely been evaluated (2). Among the different oxidation states of the Te, only elemental tellurium (i.e.,Te0) is insoluble in the water and can be arranged at the nanoscale by the biological or chemical reduction of the higher oxidation states of Te such as tellurite (TeO32−) and tellurate (TeO42−) (3, 4). Although the potential toxicity of Te0 has not been fully understood, the bactericidal activity of the Te oxyanions has been recognized since the discovery of antibiotics. Reviewing the literature, it was found that the toxicity of the tellurite occurs via the two probable mechanisms: i) replacing the sulfur group in a number of amino acids and as a result creating non-functional proteins and ii) severely oxidizing the glutathione reservoir of the cells, which lead to the generation of excessive amounts of reactive oxygen species (ROS) disrupting cell macromolecules involved in metabolic pathways (5, 6). Recently, tellurium has been applied in the development of novel materials such as fluorescent CdTe quantum dots (7, 8) and different telluride nanostructures (9), tellurium containing nanoparticles (NPs) (10), and tellurium nanotubes (11), which may find potential applications in the electronics and medicine as a new field of nanotechnology approaches. Beside, the physicochemical approaches, such as, microwave-assisted synthesis, hydrothermal, and electrodeposition methods (12) developed for the production of the nanostructures, the biosynthesis of NPs has been introduced as a safe, clean, non-toxic, and environmental-friendly methods (13, 14). Some microorganisms such as Rhodobacter capsulatus (15), Acinetobacter haemolyticus (5), and Bacillus selenitireducens (16) have excellent capability in converting metalloid ions like tellurium into nanoparticles. In fact, these tellurite-resistant microbial strains introduce these metalloid oxyanions into their respiratory chain as electron acceptors where tellurium oxyanions are reduced to the metalloid Te0 (17). Reduction of the tellurite using nitrate reductases and other reductases present either in the periplasmic space or bound into outer membrane has been also introduced as another mechanism for the production of the elemental and insoluble form of Te which is then precipitated in the cell compartments (6, 17). Although the antioxidant activity of some tellurium compounds like telluric hyaluronic acid has been previously confirmed (18), the literature review revealed no report on the antioxidant activity of the biogenic tellurium nanorods (Te NRs). Furthermore, the antimicrobial effect of Te NPs biosynthesized by somehaloarchaeon bacteria such as Halococcus salifodinae was reported (19), but the combined effect of Te NPs and different antibiotics on the bacterial pathogens has not been determined yet. In the present study, the biogenic Te NRs produced by the Pseudomonas pseudoalcaligenes strain Te was purified and their antimicrobial activities, alone or in combination with different antibiotics, as well as their antioxidant effect were evaluated compared with those of potassium tellurite. Muller–Hinton broth (MHB), Sabouraud dextrose broth (SDB), sodium dodecyl sulfate (SDS), n-octyl alcohol, 2,2-diphenyl- 1-picrylhydrazyl (DPPH), butylated hydroxyl toluene (BHT), 2,3,5-triphenyl-2H-tetrazolium chloride (TTC), sodium dihydrogen phosphate (NaH2PO4), dibasic sodium phosphate (Na2HPO4), potassium ferricyanide, trichloroacetic acid (TCA), ferric chloride (FeCl3), potassium tellurite (K2TeO3), and Tris-HCl were purchased from Merck Chemicals (Darmstadt, Germany). Standard antibiotic disks were purchased from Mast Company, UK. All the other chemicals and solvents were of the analytical grade. The Te NPs-producing bacterial strain used in the present study was previously isolated from a spring (Kerman, Iran, 30°15 N, 56°58 E) and identified as Pseudomonas pseudoalcaligenes strain Te (20). The organism was constantly conserved on the nutrient agar plate containing K2TeO3 (2 mM) using continuous weekly sub-culturing. The following representative Gram-negative bacteria strains including E. coli (PTTC 1399), P. aeruginosa (PTTC 1574), and Salmonella typhi (PTCC 1609) were purchased from the Persian type culture collection (Iranian organizations for science and technology, IROST, Karaj, Iran). Furthermore, the clinical isolates of methicillin-resistant Staphylococcus aureus (MRSA),Candida albicans, and C. dubliniensis were used as the test organisms. Te NRs were biosynthesized using a newly described method (20). Briefly, sterile NB medium containing K2TeO3 (final concentration of 1 mM) was prepared. The medium (100 mL) was then inoculated with 1 mL of the fresh inoculums (OD600, 0.1) of the P. pseudoalcaligenes strain Te and incubated aerobically in a shaker incubator (30 °C, 150 rpm). After 80 h, the bacterial cells were removed from the culture medium by centrifugation (4,000 ×g, 10 min) and the obtained pellet was washed using sterile NaCl solution (0.9%) by centrifugation. The cells were consequently transferred to a mortar and were disrupted after grinding the frozen cells in the presence of liquid nitrogen. The resulting slurry was then ultrasonicated (100 W, 5 min) and was washed three times using sequential centrifugation (10,000 ×g, 5 min) with 1.5 M Tris-HCl buffer (pH 8.3) containing 1% SDS and deionized water, respectively. Subsequently, Te NRs were extracted and were purified using an organic-aqueous two-phase partitioning system (n-octyl alcohol-water) as described earlier (20). For transmission electron microscopy (TEM), the Te NRs were dispersed ultrasonically and a drop of the suspension was placed on carbon-coated copper TEM grids and dried under an IR lamp. Micrographs were then obtained using a TEM (Zeiss 902A) apparatus coupled with an energy dispersive X-ray (EDX) microanalyzer operated at the accelerating voltage of 80 kV. The related size distribution pattern of the Te NPs was plotted by the manual counting of the 300 individual particles from different TEM images. The conventional microplate method was used to determine the minimal inhibitory concentration (MIC) of Te NRs and K2TeO3 with some modification (21). Briefly, sterile MHB was supplemented with different concentrations of Te NRs (0.25-4 mg.mL-1) and K2TeO3 (0.125-8 μg.mL-1). The 96-well round-bottom sterile microplates were then separately filled with 180 µL of the above mixtures and 20 µL of the freshly prepared bacterial pathogens including E. coli, P. aeruginosa, S. typhi, and MRSA to obtain the final inoculums of 105 CFU.mL-1 were added into each well and incubated overnight at 37 °C. Thereafter, 20 µL of the sterile TTC solution (0.5 mg.mL-1) was added to each well and incubated for an additional 2 h. MIC was expressed as the lowest concentration of the samples at which no visible red color (due to the reduction of tetrazolium indicator into the related formazan) was observed. The antibiotic ciprofloxacin (Sigma–Aldrich, St. Louis, MO, USA) was included in each assay as the positive control, while sterile MHB was applied as a negative control. For the clinical isolates of theC. albicans and C. dubliniensis, the aforementioned concentrations of the Te NRs and K2TeO3 were prepared in SDB medium and after exposure time (30 °C, 24 h), the growth was detected by culturing from each well onto the plates containing Sabouraud dextrose agar. The antibiotic fluconazole (Sigma–Aldrich, St. Louis, MO, USA) was included in each assay as the positive control, while the sterile SDB was used as a negative control. All the experiments were repeated three times on different days and their means were reported. Table 1), blank disks containing only Te NRs, or different concentration of K2TeO3 (i.e., 0.031, 0.062, 0.125, 0.25, 0.5, 1, and 2 mg/disk), and antibiotic discs loaded with Te NRs (2 mg.mL-1) or K2TeO3 (0.25 mg.mL-1) were then separately overlaid on the surface of the inoculated media followed by the overnight incubation at 37 °C and the inhibition zones were measured. The above-mentioned disk diffusion method was performed in triplicate and the mean of the measured inhibition zones was measured. Where Aa is the absorbance of the sample mixed with DPPH solution, Ab is the absorbance of the sample without DPPH solution, and Ac is the absorbance of the negative control solution. The required concentration for inhibiting 50% of DPPH (IC50) was then calculated by linear regression. Three independent replicates of the above-mentioned experiments were carried out and the mean of the obtained results was reported. The reducing power of the Te NRs and K2TeO3 was determined by applying the adapted method of Oyaizu (23). Briefly, 1 mL from different concentrations of Te NRs or K2TeO3 (10 -1000 µg.mL-1) was mixed with 0.5 mL of sodium phosphate buffer (0.2 M, pH 6.6) and 0.5 mL of potassium ferricyanide (30 mM) and the prepared mixture was incubated in a water bath (50 °C, 20 min). Thereafter, 2 mL of TCA solution (0.6 M) was added and the mixture was centrifuged (4,000 ×g, 10 min). Afterwards, 0.5 mL of the obtained supernatant was mixed with the deionized water (0.5 mL) in addition to 0.1 mL of FeCl3 solution (6 mM) and the absorbance at 700 nm was recorded. The blank was prepared by replacing Te NRs or K2TeO3 solution with deionized water. Similar experiments were repeated for BHT as the reference compound at the same concentration. These procedures were repeated three times on various days and the mean of the absorbance was employed to draw an appropriate curve. The software SPSS 15 for Windows (SPSS Inc., Chicago) was used for the statistical analysis and the differences between the groups were determined using one-way analysis of variance (ANOVA). The p-values of less than 0.05 were considered as significant. Fig. 1a). In order to confirm the probable pigment production which interferes with the tellurium ion reduction, similar cultivation in absence of Te+4 ions was performed. The obtained results (Fig. 1b) indicate that production of Te nanostructure; and not the pigment production, is responsible for such a color change. The applied three-phase partitioning system, as previously was used for the purification of biogenic Te NPs and Se NPs (20, 22) through the application of n-octanol, made us able to purify the biologically synthesized Te NRs in the present study. This was evident in Figure 2a, which shows the TEM image of the biogenic Te NRs, representing rod-shape nanostructures with 185 nm in length by the less than 20 nm of the width (185 nm X 20 nm). Furthermore, larger rosettes composed of several Te NRs were observed (Fig. 2b). The occurrence of such rosettes in culture media of other tellurium resistant bacterial strains such as B. selenitireducens was previously reported to be due to the adherence of Te NRs to each other through electrostatic interaction (16). Furthermore, microanalysis of the purified Te NRs using EDX method represented the Te absorption peak at 3.72 keV (Fig. 2c) and the Cu peaks which originated from the TEM copper grid. The corresponding size distribution patterns of Te NRs measured from the manual counting of 300 individual particles from different TEM images has revealed that the nanoparticles were in the size range of 50-200 nm and the most frequent particles were in size range of 75-100 nm (Fig. 3). Recently, Borghese et al. (17) have reported that the oxyanion of tellurite transformed into needle-like black Te NPs with the size range of 200-800 nm after 10 days of anaerobic incubation in the presence of R. capsulatus. Among the 123 tellurite-resistant bacteria isolated from the extreme environment of Antarctica, six Te NPs-producing strains (i.e., Staphylococcus, Acinetobacter, and Pseudomonas genus) were obtained which displayed about 35-500 fold resistance to tellurite compared to that of the tellurium-sensitive E. coli (5). The serial dilution method was used to determine the MICs of the Te NRs and K2TeO3 against different microbial pathogens. For E. coli, P. aeruginosa, S. typhi, MRSA, C. albicans, and C. dubliniensis treated with Te NRs, the MIC was found to be 1 mg.mL-1, 1 mg.mL-1, 4 mg.mL-1, 2 mg.mL-1, < 4 mg.mL-1 and -1, respectively. However, in case of potassium tellurite MIC was determined to be 0.125 µg.mL-1, 16 µg.mL-1, 0.5 µg.mL-1, 32 µg.mL-1, 1024 µg.mL-1, and 512 µg.mL-1 for E. coli, P. aeruginosa, S. typhi, MRSA, C. albicans, and C. dubliniensis, respectively. For all tested bacteria treated with ciprofloxacin the MIC, was found to be -1. As well, for C. albicans and C. dubliniensis treated with fluconazole, the MIC was found to be 1024 µg.mL-1 and 512 µg.mL-1, respectively. In this study, the antibacterial activity of the different antibiotics alone or in combination with a sub-inhibitory amount of Te NRs (2 mg/disk) or K2TeO3 (0.25 mg/disk) were also investigated by disk diffusion method against the clinical isolate of the MRSA. The disks containing only the sub-MIC amount of the Te NRs (0.031 mg/disk to 2 mg/disk) did not exhibit any inhibition zones against the MRSA (Table 1). The measured inhibition zones for the disks containing 0.5 mg, 1 mg, and 2 mg of K2TeO3 were 10.5 mm, 13.3 mm, and 16.7 mm, respectively (Table 1). For other disks containing 0.031 mg, 0.062 mg, 0.125 mg, and 0.25 mg of K2TeO3 not a zone of inhibition was determined (Table 1). Among the tested antibiotics, only tobramycin,vancomycin,gentamicin,tetracycline,amikacin,streptomycin,andkanamycin were shown the antibacterial effects against the tested MRSA (Table 1). Fig. 4). Furthermore, K2TeO3 showed an antibacterial effect in combination with all the tested antibiotics except bacitracin against the tested MRSA (Fig. 4). Fig. 5a). The IC50 values of the BHT and biogenic Te NRs were found to be 12.45 μg.mL-1 and 24.9 μg.mL-1, respectively. However, in the case of K2TeO3, only 17.6±0.8 % scavenging effect was observed at 160 μg.mL-1 of the concentration. By increasing the Te NRs concentration to 320 μg.mL-1 and 640 μg.mL-1, the scavenging effect hasn’t significantly increased when compared to the concentration of 160 μg.mL-1 (p > 0.05) (data not shown). The reduction of Fe (III) ions is regularly used as an indicator of electron-donating power (22). The reducing power of Te NRs, K2TeO3 and BHT at different concentrations is shown in the Figure 5b. At the concentrations above 80 μg.mL-1, the reducing power of the Te NRs and K2TeO3 was significantly lower than BHT (p<0.05). Moreover, the reducing power of Te NRs at the same concentration above the 320 μg.mL-1 was significantly higher than the K2TeO3 (p<0.05). In general, for the examined bacterial and fungal strains evaluated in the present study, the biogenic Te NRs represented lower a toxicity compared to that of K2TeO3 (p<0.05). Reviewing literature has revealed that following the microbial reduction of K2TeO3 and other chalcogen oxyanions such as sodium selenite, the toxicity of the produced nanostructures will decrease. For example, in the study of Forootanfar et al. (20), the cytotoxic activity of the biogenic Te NPs on four cell lines including A549, HepG2, HT1080, and MCF-7 was evaluated and a higher IC50 value was found for Te NRs compared to TiO32-. Zare et al. (24) have investigated the antibacterial effect of Te NRs (180 nm × 20 nm) produced by the Bacillus sp. BZ against Staphylococcus aureus (MIC 250 μg.mL-1), P. aeruginosa (MIC 125 μg.mL-1), S. typhi(MIC 125 μg.mL-1), and K. pneumonia (MIC 125 μg.mL-1). Furthermore, they reported the presence of different functional group on the surface of Te NRs is related to the different compounds bound to the surface during the reduction process. Although, the Te NRs prepared by P. pseudoalcaligenes strain Te in the present study exhibited approximately the same size range with the produced Te NRs by Bacillus sp. BZ but they did not show any typical functional groups (20). It seems that the presence of such functional groups explain the lower MIC values of Te NRs produced by Bacillus sp. BZ in comparison to Te NRs prepared by P. pseudoalcaligenes strain Te. In another study, Zare et al. (25) have reported that the Te NRs can completely inhibit the growth of C. albicans at concentrations of ≥ 2000 μg.mL-1 through inhibition of the squalene monooxygenase gene expression. In addition, Lin et al. (26) reported that different Te nanomaterials such as nanowires (20 nm diameter by 880 nm length), nanopencils (70 nm diameter by 440 nm length), nanorices (50 nm diameter by 130 nm length), and nanocubes (80 nm) which were prepared by the chemical reduction of tellurium dioxide by hydrazine represented a higher antibacterial activity against E. coli compared to Ag nanoparticles that are commonly used as antibacterial reagents. They also reported that the antibacterial effect of nanocubes and nanorices are approximately equal and their antibacterial effect is higher than nanopencils and nanowires (26). It seems that the higher size of Te nanomaterials, the lower antibacterial activity could be observed (26). The use of antibiotics in combination with different compounds is an approach to overcome the problem of antibiotics resistance (27). Enhancing the antibacterial effect of the different antibiotics used in combination with silver or zinc oxide nanoparticles were previously reported (28, 29). In the present investigation, the disks containing antibiotics and Te NRs (2 mg/disk) did not show any antibacterial activity (Table 1). Thus, the Te NRs not only did not represent antibacterial effect against the tested MRSA but also inhibit the antibacterial activity of effective antibiotics in disk diffusion method. This might be ascribed to the solubility problem of the Te NRs which need for diffusion of this nanostructure through the culture media and exhibition of antibacterial effect. Molina-Quiroz et al. (30) have reported that potassium tellurite, which is more soluble than Te NPs and cefotaxime acted synergistically in sub-lethal concentrations against E. coli and the tellurite-mediated antibiotic-potentiating effect occurred especially with antibiotics disrupting the cell wall (such as ampicillin and cefotaxime) or protein synthesis (like tetracycline, chloramphenicol, and gentamicin). Adsorption of the antibiotics to the surface of Te NRs (due to their large surface-to-volume ratio) and as a result decreasing the diffusion efficiency might be another probable reason for such observation. Results obtained through investigation on the antioxidant potentials of the Te NRs showed that at all the applied concentrations the percentage of radical scavenging for the Te NRs was significantly higher than K2TeO3 (p < 0.05) (Fig. 5a). This effect might be attributed to the large surface area provided by the Te NRs which can easily react with DPPH radicals. Yunzhi et al. (31) reported that Te NPs (70 nm in width and 500 nm in length) prepared by the reduction of sodium tellurite using ascorbic acid in the sucrose solution were the dominating contributors to the radical scavenging activity of the Te NPs-sucrose solution and the antioxidant activity of insoluble Te NPs was higher than soluble sodium tellurite. It has been reported that tellurite toxicity results from its capacity to act as a strong oxidizing agent over a variety of cell components (32) and tellurite could exert its toxicity through intracellular compartment by the generation of reactive oxygen species (ROS) (33). Forootanfar et al. (22) have reported that other chalcogens such as Se+4 ions which are soluble in aqueous media bestow a higher electron-donating activity than insoluble Se NPs. However, based on the obtained results of the present study it seems that in a concentration above 320 μg.mL-1 the reducing power of soluble K2TeO3 is significantly lower than insoluble biogenic Te NRs (p<0.05) (Fig. 5b). The obtained data for DPPH radical scavenging activity showed that antioxidant activity of the biogenic Te NRs (produced by P. pseudoalcaligenes strain Te) is significantly higher than K2TeO3. Furthermore, the reducing power of Te NRs was significantly higher than K2TeO3 at the concentration above 320 μg.mL-1. Based on the data obtained from both microdilution and disk diffusion method the K2TeO3 exhibited a higher antimicrobial and antifungal activity than Te NRs. Te NRs didn’t show an antibacterial effect against the tested MRSA and they inhibited the antibacterial activity of the effective antibiotics. However, further investigations are required in order to reveal the mechanism of action of the produced biogenic Te NRs. This work was financially supported by grant number 94/387 from Deputy of Research, Kerman University of Medical Sciences (Kerman, Iran). 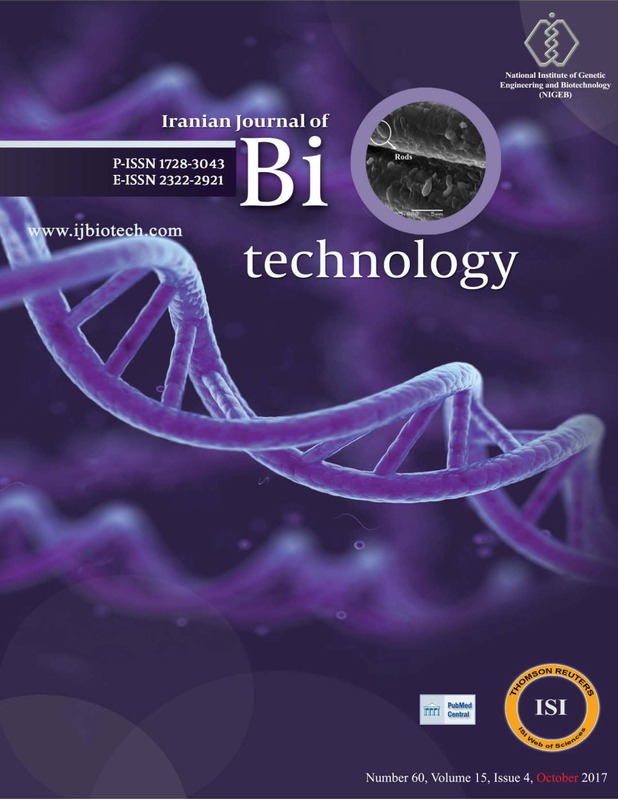 We thank the Herbal and Traditional Medicines Research Center, Kerman University of Medical Sciences (Kerman, Iran) and Iranian Nanotechnology Initiative Council for their admirable participation in this study. Ba LA, Doring M, Jamier V, Claus Jacob C. Tellurium: an element with great biological potency and potential. Turner RJ, Borghese R, Zannoni D.
Park TJ, Lee KG, Lee SY. Advances in microbial biosynthesis of metal nanoparticles. Appl Microbiol Biotechnol. 2016;100(2):521–534. Borsetti F, Borghese R, Francia F, Randi MR, Fedi S, Zannoni D. Reduction of potassium tellurite to elemental tellurium and its effect on the plasma membrane redox components of the facultative phototroph Rhodobacter capsulatus. Protoplasma. 2003;221(1-2):152–161. Baesman SM, Bullen TD, Dewald J, Zhang D, Curran S, Islam FS, Beveridge TJ, Oremland RS. Formation of tellurium nanocrystals during anaerobic growth of bacteria that use Te oxyanions as respiratory electron acceptors. Appl Environ Microbiol. 2007;73(3):2135–2143. Lin Z-H, Lee C-H, Chang H-Y, Chang H-T. Antibacterial activities of tellurium nanomaterials. Chem Asian J. 2012;7(5):930–934. Perez JM, Calderon IL, Arenas FA, Fuentes DE, Pradenas GA, Fuentes EL, Sandoval JM, Castro ME, Elıas AO, Vasquez CC.